A couple of weeks ago, Google showed off the next version of Maps at LeWeb 2010. Today Google has officially launched it and Google Maps 5.0 brings all the features promised. It truly is the best maps application available for mobile right now by some distance. Among all the new features that it brings, I believe the most important is the offline caching. With this feature Maps is no longer fully dependent on having an internet connection. This feature ensures that even when the network is down or unavailable you can still use Maps to some extent. Maps does this by storing maps of the areas you visit most often. Another interesting feature in Maps 5.0 is offline rerouting. This is a feature for Google Maps Navigation which allows users to get back to the route if he missed a turn even when no internet connection is available. Internet connection is still required to start a route though. 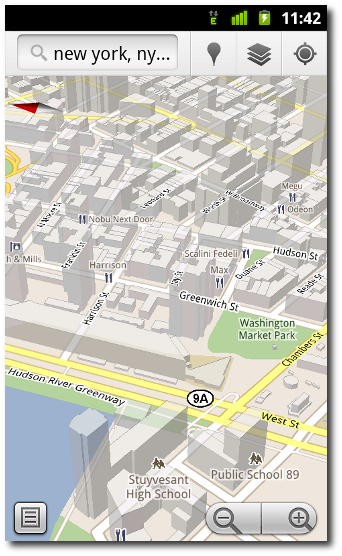 Maps 5.0 also features 3D buildings. 3D buildings are only available at a certain zoom level and currently limited to only a few cities. Maps 5.0 also has a neat compass mode. When the compass mode is activated, the map will switch to 3D mode (if available) and rotate to match your perspective while still keeping the labels upright. The 3D mode also includes new modes of interaction with with multi-touch gesture. The new gestures includes tilting, rotating and smooth zooming. Google Maps 5.0 is already available in the Android Market. It is available for Android 1.6 and above. However, 3D mode and offline caching are available only in Android 2.0+. 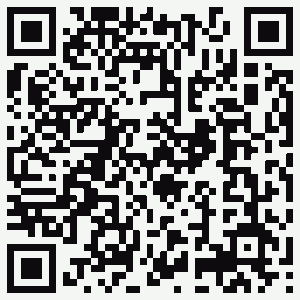 Scan the QR code on the right with the barcode scanner on your Android phone to install. If you are reading this on your Android device, tap the link below.